Your CV is the bridge between you and your dream job. When you send out your CV, the recruiter looks at every detail to ensure they get the best fit for a job. If you wish to stand out above the rest and have your CV shortlisted, there are six minute yet crucial details you will need to consider. The size of your CV is dependent on your experience level. A firm manager won’t have the same CV length as a fresh graduate. The rule of thumb, however, is to have your CV as short as can be. Since space is limited, you need to maximize the space available. As page margins go, you should ideally decrease them. This will allow you to fit more content in a single page. The first page is crucial as it gives the recruiter an overview of your application. As such, you should include the most relevant information on the first page. 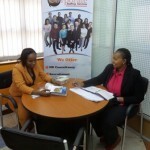 Ms. Prisca Kimaiyo, a recruitment manager here at Corporate Staffing Services says most recruiters will pass over a CV that does not detail important information in the first couple of pages. What information do you include as your contact details? Often times, we see job seekers giving unnecessary information in the contact details segment. For starters, this will eat up into valuable space that could be otherwise utilized. Although you want to ensure the recruiter has your contact details, you do not want to overdo it. Unless required in the application details, or you’re sending in you’re sending in your application through the mail, there’s no need to include your postal address. Your email address and a maximum of two numbers should suffice as your contact details. When writing your CV, do you format it as though you’re writing an endless paragraph? Yes, experts advise you use a single professional font while writing your CV. You, however, have the liberty of utilizing this font to the maximum. Each section of your CV should be clearly segmented. In each section, use clear spacing. Moreover, each section should be started off with a clear and bolded text. Headings and subheadings will help segment each section of your CV. Bullet pointing your role descriptions and achievements makes it easier for the recruiter to read your CV and pick out the information they need. Since recruiter and hiring managers are looking at myriad applications every day, they need to go through as many CVs while picking the most promising candidates. The same text could look very different when put as a blank paragraph and when bulleted. What do you do when one page ends as you were still writing an achievement? Do you just continue typing on the next page? Ideally, you should have a continuous flow. If the page ends midway through a point, you should remind the reader what the last topic was. For instance, if you were talking about your prior experience, you should start off the new page with the previous heading. If you don’t want to repeat the heading, you can move the last headline to the new page as it maintains the tidiness. Also Read>>> 3 Fears Keeping You From Advancing In Your Career. While this is not ideally a deal breaker, it does help the recruiter keep the flow while reading the CV. With this format, they don’t have to flip or scroll back to the previous page trying to recall what you were talking about. After you’re done writing your CV, you need to name it and send it to the recruiter. What do you name your CV? ‘Julius Final CV’ ‘Final CV draft’? The name you give your CV could increase or decrease your chances of being called in for an interview. Ideally, you should rename your CV to match your name and the word ‘CV’ at the end. This makes it easier for a recruiter to find your application. CV formatting is crucial and it can make the difference between being called into an interview, and being passed over for one. For a professional CV, you should get an expert to have a look at your current CV and advice. Give us a call via 0722 735 216 to talk to a professional CV writer. Alternatively, you can send your current CV to brenda@corporatestaffing.co.ke.